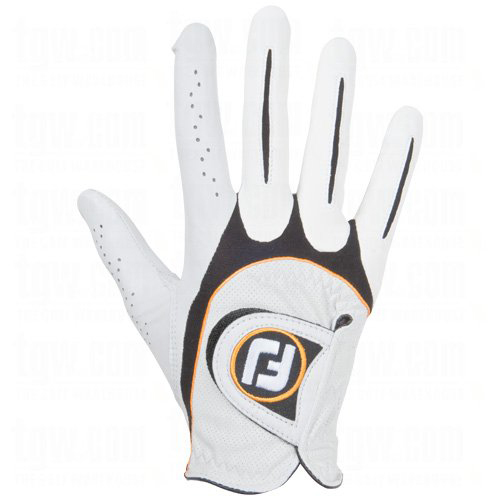 FootJoy SciFlex Pearl Mens Gloves Made of exclusively tanned Taction APL cabretta leather, by Pittards of England, the FootJoy SciFlex Pearl Gloves offers a powerful grip, exceptional moisture resistance and the finest feel that is engineered to stay softer longer. Proprietary Microvent Moisture Control leather on the back of the glove promotes cool, dry comfortable performance. A Coolmax Lycra knuckle insert is positioned across the knuckles to provide a comfortable fit as the hand flexes, and the angled ComforTab closure is strategically positioned for a precision fit and stress-free comfort. FiberSof microfiber along the fingers blends seamlessly to offer extraordinary fit. The sciences of comfort and performance technology come together in the FootJoy Men's SciFlex Glove.